HAS LEFT THIS PAGE TEMPORARILY OUT OF DATE! As everyone is aware by now things have been changed in the game drastically. With the severity of the changes I am going to have to go back to the drawing board on this page quite a bit! I am aware this page is a high traffic resource for the Warframe community, but it is managed by myself in my free time. However, I am real busy in real life right at the moment. I will have to update this when I find time. I WILL be updating this page though so do not fear! Until then I am sure Reddit’s /r/warframe , DE’s forum & Wiki will hold everyone over with locating the newest info they need. Once I get time I will try to put all these changes into the format everyone knows and loves here for all our viewing convenience. Thanks for your patience and loyalty! Good luck and stay tuned to this page for changes! JUMP TO THE CONTENT YOU’RE LOOKING FOR! ARE BACK FOR A LIMITED TIME! BE SURE TO HUNT THE PARTS BEFORE THEY ARE VAULTED AGAIN! CLICK HERE FOR A SIMPLE LIST OF JUST THEIR DROP LOCATIONS! ADDED AND ALL CHANGES MOVED TO NEW LOCATIONS. HAPPY HUNTING & GOOD LUCK ON THE DROPS! CLICK HERE FOR A SIMPLE LIST OF JUST THE NEW PRIME PARTS! Creating Prime items in Warframe requires knowing exactly where to go and exactly how long to stay there. All prime parts in Warframe are hidden as rewards in Tower & Derelict missions. Some of these parts are end mission rewards and some of them are rotation interval rewards. This guide allows you to sort by both Prime name and location so you can hunt specifically for the prime part you want most. Included on this page is an explanation of how rotation order works for new and returning players. Tower & Derelict missions all require you to farm keys first before you can enter those locations. Keys are also easy to get if you know where to look for them specifically. For a full table of all possible key drop locations please be sure to visit the wiki. In the list below you will see “Rotation A, B, C” This refers to which periodic interval those rewards will be granted during survival, defense & interception missions. In survival, this interval is every 5 minutes and each rotation ends when you get the item reward that pops up on the screen. In Interception, this interval is every round and each rotation ends when you opt to continue or leave. In Defense, this interval is every 5 waves and each rotation ends when you opt to continue or leave. However, it is not as straight forward as it might appear. A, B, C rotations can be rather confusing in the order they are granted. Then repeat the entire cycle from start A, A, B, C… A, A, B, C… etc. For example, if you are trying to get an item from Survival Rotation C you need to stay at least 4 rotations (20 minutes). Then you only get another chance at the Survival Rotation C items again at rotation 8, 12, 16, etc (40 minute, 60 minute, 80 minute, etc). Note: Veteran players may remember how defense used to give same rewards after wave 15+ only. The Reward Rotation for Defense and Interception was changed after the Archwing patch to operate the same as survival rotation. This guide makes use of many commonly used abbreviations in the Warframe community. If you are new to the game or returning after a long break, this cheat sheet will help you get caught up to speed. This is a short list of the newest Prime drops in the game. Prime Vault items are items that have been retired from the game’s loot tables to make room for new prime drops. Once items have been vaulted players can only get them again through in game player trade and limited time prime vault packages for real life money. It is important to pay attention to the next set of upcoming vaulted items (listed below) and farm them before they get retired. The Primes below will be vaulted when the next Prime Access is released. Be sure to farm these now while you still have time. These are current “unsealed” vault item drop locations. This is for a limited time only! Get them while they are back in the game! These unsealed drop locations will expire on July 26th and the items get revaulted again. SARYN PRIME, NIKANA PRIME & SPIRA PRIME added to guide. RHINO PRIME, BOLTOR PRIME & ANKYROS PRIME vaulted. Other item location changes fully updated! Happy hunting and good luck! is there a way to see what might be vaulted next on this website? if not anywhere else? Things get vaulted in the order their Prime Access releases were done. The eldest in the list is gets vaulted next. Right now, at time of replying, the next to get vaulted is Loki Prime, Bo Prime and Wyrm Prime. Now is a good time to collect those of you have not done so. Refer to the prime access wiki page and scroll down to see the order of prime access releases. Guide “Vaulted” section updated with the upcoming set of Primes to be retired. Vauban Prime right around the corner and Loki Prime is getting vaulted. As always please give me a little bit of time to get accurate drop locations for the all the new parts and update all the new item shifted locations and vaulted item removals. This thread has the drop locations for the new Vauban Prime set of Prime things. IF you have to give credit to anyone for these, give it to the reddit commentors and OP who posted them. I PUT IN THE DROP LOCATIONS OF VAUBAN PRIME, AKSTILETTO PRIME & FRAGOR PRIME. EACH PRIME ACCESS PATCH REQUIRES CHANGING THE ENTIRE DROP TABLES AND THE REMOVAL OF THE VAULTED PRIMES. KEEP POSTED AND THOSE WILL BE UPDATED SHORTLY. GOOD LUCK! should not or should be ? I guess I was sleepier than I thought that night. Sorry to nitpick but my inner OCD kinda compels me to say that I believe that due to “not” being a correct spelling though an incorrect word spell check would have overlooked it where I’m certain you meant to put “Everything should NOW be 100%.” Again I do not say this to try to be sarcastic, a troll, or even rude, only simply because I’m sure you are a busy person and likely overlooked the error. It was a typo for sure. 🙂 Others spotted it as well. I guess I was sleepier than I thought that night. I am amazed that was the only typo! Hi there, great job on the page first of all! Secondly, I just got Volt systems on T2E. Might want to add that on there. This seems to be new, after the Vauban P update. Hey, i dont know if this is a glitch in the drop locations but i just got Volt Prime Sys in a T2 E.
I updated the guide today to add Volt Prime Systems to T2E drop table. Thanks for letting me know everyone! DE does minor periodic tweaks and addendums to the drop locations throughout each Prime Access cycle. If you guys happen to spot another one of their changes please don’t hesitate to let me know. does mag prime still drop couldn’t see it in the list? Hopefully I’m not asking for much but is their a way to figure out the percentage drops for each item or is it to difficult? Just got a braton prime reciever on tower 3 defense on rotation C. You guys have been great so far, very accurate but i have noticed a couple things here and there on drop tables. Would like to help out a bit i guess because i am a big supporter of your page. It will help you to quickly verify if an item is on this database already or not and if it is in the same drop location you received it. 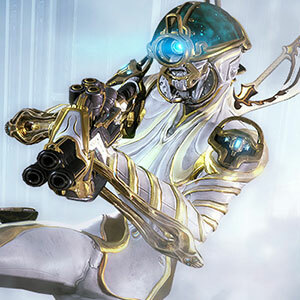 Heard Mag prime is coming back today looking forward to your update if its true. Don’t know if Mag will be in the same places as before. Is the mag release going to be added? It’s today only. where is mag prime dropping ? 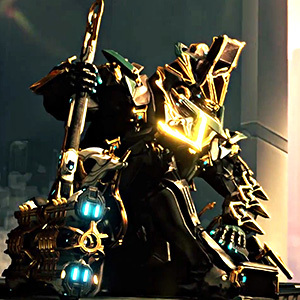 MAG PRIME, BOAR PRIME & DAKRA PRIME ARE BACK! FOR A LIMITED TIME ONLY THESE PRIMES ARE DROPPING IN GAME AGAIN. THESE DROPS LOCATIONS WILL BE RE-VAULTED AGAIN ON JULY26TH. Everything has been changed in the game again. With the severity of the changes I am going to have to go back to the drawing board. I am real busy in real life though. I will have to update this when I find time. Until then I am sure Reddit, Forum Posts & Wiki will hold everyone over. Once I get time I will try to put all these changes into the format everyone knows and loves here.